Now 51, Johnson drives the helm of the family business, having completed the buyout of his father last year. 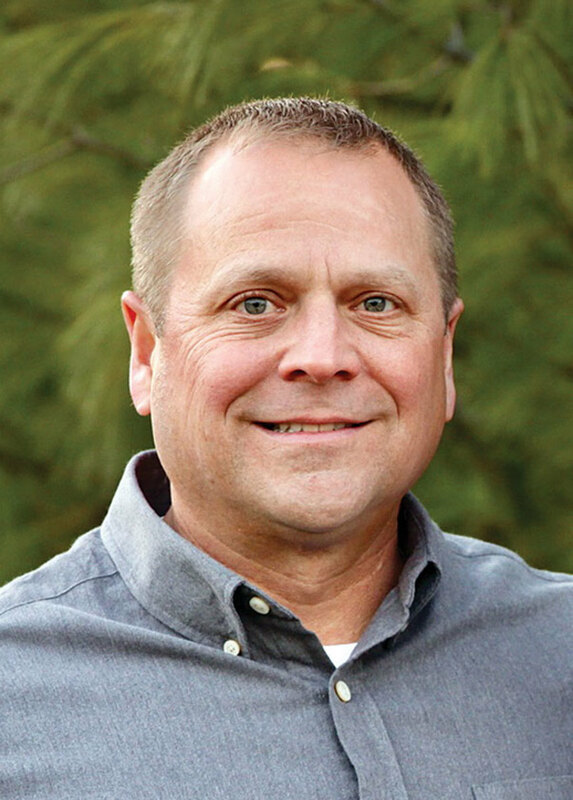 He moved the company from California to Loudon, Tenn., in 1997 and lives in Knoxville, Tenn., with his wife, Douglass; son Tyler, 20; and twin daughters Kendall and Camryn, 14. Q: How are things at Johnson Propeller? A: We’re seeing another really strong year in sales across the board from manufacturers, dealers and retail. We’ve also been busy updating our equipment in the shop. We’ve replaced the foundry equipment. That has really helped with our process flow, as well as production increases. Our production has gone up considerably. We also updated our machine shop because everything we do now for the most part is CNC, so we added two more machines. Q: How much of an investment was it? A: It was significant and sort of surprising. I spent around the same money on the new equipment as the stuff we bought in 1992. We can make an awful lot more props in a day now than we could previously. Q: The company name is Johnson Propeller, but it seems that many people call it OJ Props. How did that come about? A: We were founded in Oakland in 1936 by my great grandfather Oscar and his son Ivar. In the early years, we used to stamp the propeller on the side with Oakland, Calif. USA, so people started referring to Johnson Propeller as Oakland Johnson, and it morphed into an homage to Oscar as OJ. Q: How many generations of Johnsons have been with the company? A: We are 82 years old, and I’m the fourth generation. Oscar was 60 years old when he started the company with Ivar, and then there’s my father Gary, who is 75. 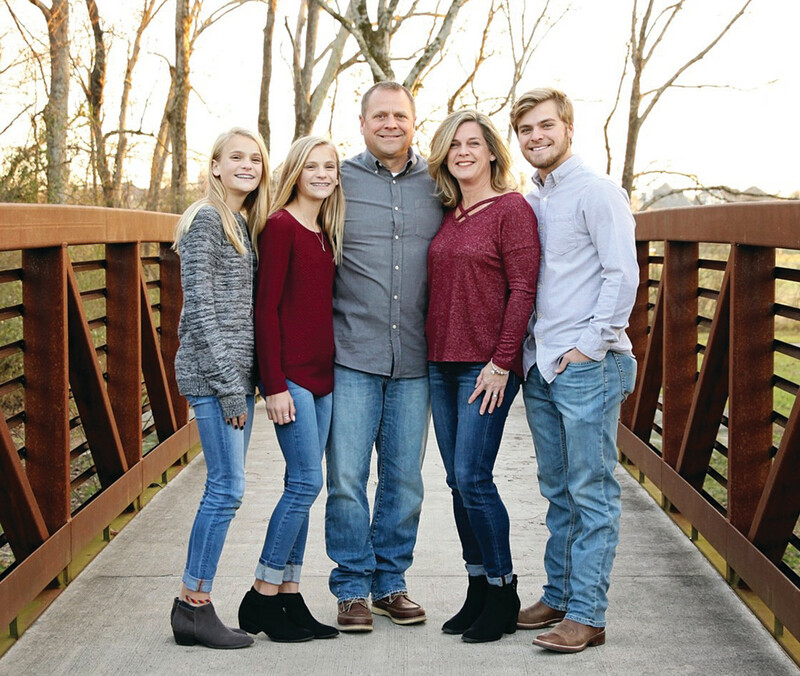 The Johnson family (from left): Camryn, Kendall, Eric, Douglass and Tyler. Q: Was working with your dad a benefit of being part of a family company? A: A family business certainly has its ups and downs. Yes, it was a benefit, but it can also be a challenge. It’s difficult to work that closely with your family. Thanksgiving and Christmas, when we’re all together, we’re still talking shop. Q: Did you have siblings that grew up in the company? A: I had two brothers. Our youngest brother Curt passed from congestive heart failure at the age of 29 in 2000. The middle brother Kris did work in the business, but he’s a chef in California now. We grew up with a small broom that was in the corner, so there were no excuses that we couldn’t push it. We started with the broom and moved into foundry work, shoveling sand and breaking out molds and then cutting and grinding. Back in those days, we did an awful lot of aluminum props for Volvo Penta, and we had to paint them, so I painted a lot of props as a kid. A: Twenty. We’ve had as many as 30 and as few as four. That includes me, so we’re fairly fluid, depending on what we’re doing. Johnson Propeller has been the exclusive provider to MasterCraft for decades. Q: How many props do you produce in a year? A: Our average is 10,000 to 12,000 per year. We’ve done 20,000 in a year and as few as 6,000. Q: Workforce shortages are a big issue in the marine industry. Is it a challenge for you to attract and retain good employees? A: We no longer hand-finish a lot of stuff. Training someone to do that was always a challenge. When we moved here in 1997, we brought three guys with us from California that had been with us forever. And the four guys we hired the first month we were here are still here, and they learned everything in the shop. We’re still fairly small. One of our guys, Richard Paz, has been here since 1972, and he’s the grandfather in the shop now. He runs the finishing room and balances every propeller. Sue Bright, our office manager, runs the show and has been with us since Day One. Q: How many of your employees are second or third generation, and what programs does Johnson have in place to retain employees? A: We have a father and son. Michael Kelly has been here, and his son, Devin, just started last year full time. Michael is in the machine shop, and he started in the foundry, and that’s where Devin is. Q: What prompted the move from California to Tennessee? A: The largest segments of our customers are in east Tennessee. We’re 500 yards from the Malibu plant, 15 minutes from Skier’s Choice and 15 minutes from MasterCraft. We would travel out here all the time servicing these guys, and it just made sense to get out of California. It’s been the best thing we’ve done the last 20 years. We’re right here; we can service these guys and get to any of these plants in 20 minutes or less. Q: Has Johnson always done props for ski boats and other towboats? A: We have had several evolutions during the years, concentrating basically on niche markets. Early on it was little racing props, then go-fast inboards, then Volvo Penta sterndrives and then inboards. 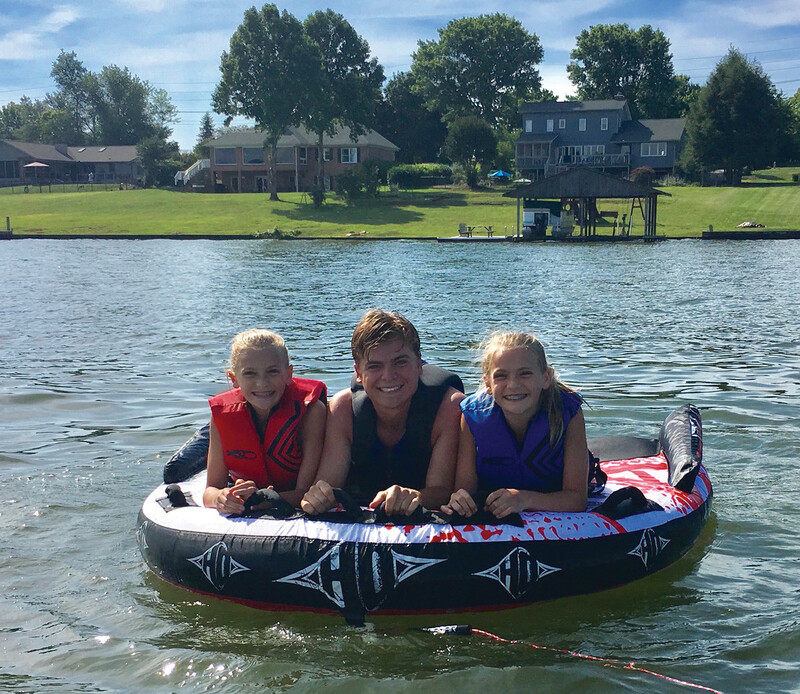 Tyler is flanked by Kendall (left) and Camryn as they prepare for a tube ride. Q: What’s the timeline for those changes? A: From 1936 to the mid-1950s through the early ’60s, we did a lot of the bronze two-blade racing props. Karl Kiekhaefer tried to buy the company from my grandfather. We were doing an awful lot for Mercury and Mercury Racing. We’ve done outboards, sterndrives and inboards, and have a vast knowledge in these areas. Many people don’t understand the base from where we came. Then we worked with Volvo Penta on aluminum props during the early 1970s. Q: When did you switch to towboat props? A: In the late 1970s and early ’80s, Rob Shirley at MasterCraft contacted my dad. They were having performance issues with their supplier, and we got a crack at making some props for Rob. Plus, they had just introduced the Power Slot transmission and were having some issues figuring the change in gear ratio, going from 1-to-1 to 1.5-to-1. We had some stuff lying around, and the rest is history. We’ve been making propellers exclusively for them ever since. Q: Are you the primary supplier to inboard-powered towboats, and what companies do you work with? A: We work with all the builders — at one point we had everybody. Back in the late 1990s through the early 2000s, we were the sole supplier for anyone who built a towboat. Our designs were out in front of everybody else. At that point, it was Michigan Wheel and us, and we took everything Michigan Wheel had. We had a few guys try to enter the business. Cutter Marine out of Washington copied our design and had it made in China out of stainless. They had a three- or four-year run where they took some business from us, but we got it back. I didn’t even know these guys. I would get a call from someone saying his prop was vibrating, and I’d get the prop in, and it was my propeller but in stainless. Q: People were copying your designs? A: It happens. Look at the Michigan Wheel Ambush line of inboard props — it’s our stuff. I got a call from one of the guys in the propeller development side at Michigan Wheel, and he said, “I apologize, we’ve tried to make something better, and all we can do right now is use your design, so I’m just letting you know.” They still sell some, but they’re not ingrained with manufacturers like we are. Q: The Legend seems to be the prop that put the company on the map. How did it come about? A: I had been at the company for about two years, and we just kept making the same old, same old. At that point I was also racing stock outboard and got into outboard tunnels, the SST 120 class and Formula One, and there were a lot of changes being made there with three- and four-blades. I decided to take a crack at designing something, so I grabbed one of Oscar’s original single-blade patterns that he hand-carved out of wood. It was the diameter and pitch I wanted, so I made the Legend blade shape. We have a very unique blade shape, and we kind of went away from it when my dad was running the company. I went back to the original OJ shape, made a three-blade and called it the Legend to honor what Oscar did. It worked way better than what we had or what anyone else had. I took the same basic concept and introduced a four-blade in 1995. Q: What are some highlights of your racing career? A: I raced until the early 2000s. I drove the Bud Light at Bay City, Mich., for Michael Seebold. I ran my SST 120 boat and his boat in the Champ class, and I won a heat race and finished fourth or fifth. I hadn’t driven a Champ boat, so I remember getting a speech from Billy Seebold — the winningest tunnel-boat racer in history and Michael’s dad and team owner: “You’re last on the dock, and don’t crash the dang thing.” We lined up, and I think we were 12th on the dock. We take off, and for whatever reason, I came down the front chute in front, and I hear Billy over the radio: “Go ahead and let her eat.” It was quite a thrill to drive that type of equipment and have Billy Seebold in my ear. Q: The company has had to evolve with the changes in how people play behind their boats. What’s been the biggest challenge going from slalom skiing to wakeboarding to wakesurfing? A: We have evolved over the years from trying to create the smallest, flattest wake at 34, 36 mph to what we’re doing now, which is pushing an incredible amount of wake in a much larger boat to create the biggest wake at 11 mph. It’s been a big challenge, but we have sort of been at the forefront by being the first to create the concept of a wake propeller. Typically if the boat ran a 14/18-inch prop, we loaded it down with a 1.5-to-1 gear ratio and would go to a 14/16-inch, lower the pitch to try to get the engine rpm up to push more wake. About 12 years ago I came up with the concept of larger diameter and lower pitch. We went to a 14½-inch diameter and now a 15-inch, and we’ve found we can carry the load with the increased diameter and increased blade area better than with reduced pitch. I was fortunate to work off the base that Oscar created. He was so ahead of his time with cupping and rake angle and pitch distribution. Q: Are you making more props for surfing now than anything else? A: It has gone in that direction. We had the whole wakeboard craze for a while. The props really don’t vary much from that, other than we’re going slower. We’re going 11 mph and carrying a lot more weight. The challenge is to be able to do that and make it happen efficiently. The surf scene is going to continue to grow. You’re not slamming around doing crazy things on a slalom ski or wakeboard. 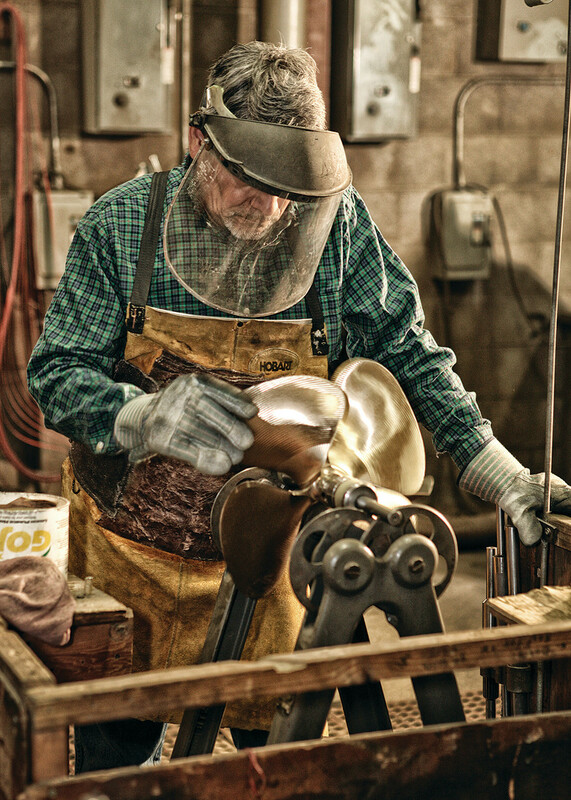 Richard Paz, who has been with Johnson Propeller since 1972, balances every prop that leaves the shop. Q: Most water-sports boats are equipped with props made from nickel bronze alloy. Why not use stainless like a performance prop? A: We made stainless props many years ago, but we found the minor gains in performance — maybe a mile per hour faster on the top end — didn’t outweigh the potential issues in the event of a prop strike with stainless compared to nickel bronze. The Ni-Bral props are more forgiving, but that doesn’t mean they’re folding up. They absorb the impact better than a stainless prop. Q: Do you ski, board, surf or all of the above? A: I try to get a slalom set in a couple times a year. I’m still working on the surf part of it. The kids enjoy surfing. Q: Do you own a boat? A: I have a Malibu 21VLX for water sports and a duck boat for hunting. Q: Johnson Propeller has been around for decades. How did it overcome the economic crises, especially the Great Recession? A: We have weathered a lot of storms since 1936. I can recall a bunch of them in the 1970s, and when I came to work in 1989, there were only four of us at the company. The years 2008 and 2009 were hard because prior to that we were doing so well. Boats were flying out the door, and then it just stopped. As a small company, we could contain our costs. We weren’t in excessive debt, and we were able to ride it out by doing what we do and doing it more efficiently. Q: Did you have to cut employees? How difficult was that? A: It was really difficult. I tried to deal with it as best we could by cutting hours, and it was hard for these guys to work a 28-hour week. It took 4 or 5 years to get back to 40-hour weeks. Q: Are the tariffs on aluminum and steel affecting Johnson Propeller? A: We haven’t had a direct impact on our raw materials. We don’t use a lot of steel or aluminum. We haven’t seen a lot of fluctuation in Ni-Bral raw material costs. I see a lot more issues for the industry as a whole when you look at the pontoons and other boats built of aluminum. Q: What are the next trends you see coming for wake-sports boats? A: Bigger. I also see some exciting developments in the propulsion side. The boats keep getting bigger and heavier, and it’s getting more difficult to provide the performance and efficiency with our traditional V-drive technology. We’re pretty excited about a new product that is a different way of pushing the boat, and we’re hoping to be part of that technology when it’s introduced at Miami. Q: Are you active in the marine industry as part of any associations or organizations? A: I’m a member of the Water Ski Industry Association. Q: Do you see yourself branching outside tow-sports boats? A: We stay in our lane. If I start branching out, I don’t want it to hurt our primary business. I want to get across how unique our situation is relative to the rest of the industry, especially the propeller guys. We have experience from outboards to sterndrives to V-drives over a span of 80 years. The base that I got from Oscar Johnson to build what we do today was so far ahead of its time. There are still people copying us. We’ve gone through the gamut of what this industry has been, and I don’t think anybody else can say that. Q: What other hobbies interest you? A: We go to Kentucky to hunt deer. Golf would be the other hobby. My son played at Middle Tennessee State and was the Conference USA Freshman of the year.